Apple’s latest Mac operating system release, OS X Lion is now available for purchase from the Apple online store – in hard copy. 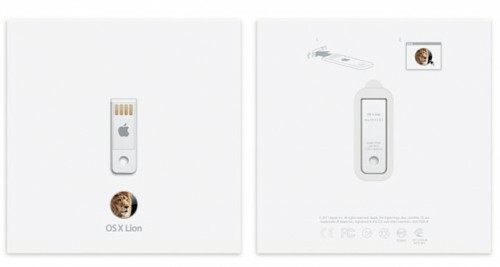 For all those users who do not have a broadband connection, or would like to have an official back-up of the new OS X that they can hold in their hands, a USB thumb drive is now on sale for $69.00. OS X Lion is available as a digital download from the Mac App Store at a considerably lower price ($29.99).